To correctly determine Pu-erh tea’s quality, one must be knowledgeable and experienced. The tea’s quality is impacted by several considerations such as the origin of production, the leaves’ source, the leaves’ quality , the method of farming, the period of harvest and storage conditions. There are four main regions producing high quality Pu-erh tea in Yunnan – Simao, Xishuangbanna, Boshan, and Lincang. These regions are located in the southwest part of China, near the borders of Myanmar, Vietnam and Laos. 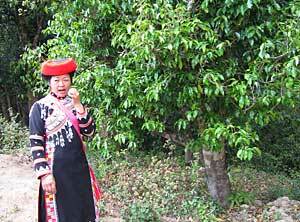 Pu-erh teas are obtained from harvested leaves of arbor tea trees or qiao mu , bushes of tea or guan mu and wild trees. Similar to ordinary trees, an arbor tea tree has a primary trunk whose branches sprout from its main stem. Arbor tea trees are usually planted with seeds, permitted to grow the natural way with no pruning, and to develop strong roots. Many tea connoisseurs prefer Pu-erh tea derived from arbor trees as it is believed that infusion from leaves of these arbor trees are richer in flavour and has stronger energy or qi. Propagation of tea bushes is done from cuttings. They don’t possess a primary trunk and the branches fan out fountain-style. They are generally found in plantations and maintained as small-sized to allow easy picking. On the other hand, wild tea trees are usually found in dense forests near bordering regions. It is , however, difficult to determine if wild tea trees grew naturally without having been planted by people or if they were actually cultivated and then abandoned. 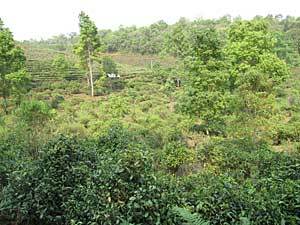 Some believe that Pu-erh tea obtained from wild tea trees possess unique taste. 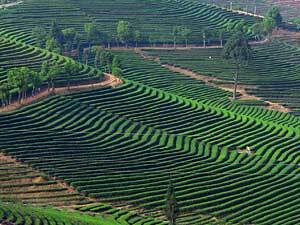 Tea plantations consist of bushes of tea that are planted neatly but densely in plains or hillside terraces. The bushes are maintained small-sized and need fertilizers and pesticides to keep them healthy. The yield of these plantations of tea bushes is large and can meet the demands for mass production. 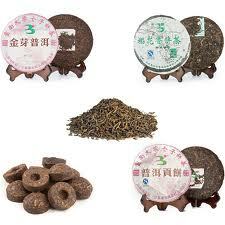 It is the most common type of Pu-erh tea found in the market today. Ancient tea gardens consist of arbor trees that are planted from seeds carefully chosen and cultivated in high altitudes together with other flora. Using ancient methods, these are planted and grown organically, making use of resources from nature with the objective of preserving the ecological order. Most trees found in these ancient tea gardens have been in existence for hundreds of years. These trees produce less per annum but their yield’s quality is believed to be better compared to tea that is derived from plantation bushes. Sustainable agriculture is simply going back to the use of time-proven methods of farming using organic practices. Tea trees are cultivated from seeds without being pruned. They are spaced alternately with fruit-bearing trees to give them various fruit flavors while at the same time providing them protection. Fertilizers and pesticides are not used. These trees are usually less than a hundred years old. In this video, Linda Louie gives an overview of the prevalent methods of farming used to grow pu-erh tea in Yunnan, China and also discusses new methods in sustainable and organic eco-farming called Shentai Cha Yuan. Harvest of Pu-erh tea leaves is done in spring, summer and fall. New buds start near the end of March, just before the rainy season starts. This yield is referred to as “First Spring Tea” and is actually considered to be the best produce during the whole year. The leaves are gathered twice more after that – before the arrival of the monsoon season. Leaves that are harvested in the fall season are generally lower in quality compared to the spring harvest but is still better than the harvest in the summer in terms of quality. The grade is ascertained by the time of harvest, the amount of buds, and the leaves’ freshness . Numbers that are lower represent young leaves that are closer to the bud whereas the higher numbers represent the more mature leaves that are farther in the branch. The best combination would be a bud and two leaves. 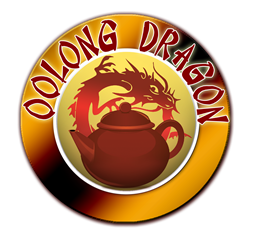 Several tea packages feature mixed blends of different grades to attain a desired flavor. The blend is generally disclosed to consumers by the tea’s manufacturer . In some cases though, some manufacturers may have other reasons for blending several grades of tea together that are for their own benefit. Buying pu-erh tea would involve looking for a merchant or supplier who is reputable, has established himself to be knowledgeable in the tea business and trustworthy. In China, this is a relationship that is cultivated and developed over time.